People have swallowed elixirs, inhaled vapors, and applied ointments in the name of healing for millennia. But only a small number of substances can be said to have fundamentally revolutionized medicine. Seven of those drugs are listed here, along with some facts that may surprise you. The discovery of insulin was no doubt a major breakthrough in medicine—prior to its discovery, diabetes sufferers often died at a young age. But while Canadian scientists Sir Frederick G. Banting and Charles H. Best, along with their colleagues, often are credited with the hormone’s discovery and isolation, Romanian physiologist Nicolas C. Paulescu appears to have beaten them to it. Paulescu isolated a substance called “pancrein,” presumably insulin, in 1916, but he was soon after recruited to serve in World War I. He finally published his findings in 1921, though they were overshadowed by the release of the Canadians’ report early the following year. In 1899 Farbenfabriken vormals Friedrich Bayer & Co. (later Bayer AG) introduced aspirin, a pain-reliever that would come to rank high among the world’s most commonly used drugs. The company credits the synthesis of pure acetylsalicylic acid, aspirin’s active ingredient, to Bayer chemist Felix Hoffmann. However, decades after its introduction, former Bayer chemist Arthur Eichengrün cried foul, claiming to have invented the process of the compound’s synthesis himself, with Hoffmann merely carrying out the procedure. Bayer holds by its claim that Hoffmann was the inventor. The introduction of the tranquilizer chlorpromazine (also known as thorazine) in the 1950s represented a turning point in psychiatry, one that gave rise to the “psychopharmacological revolution.” Indeed, not only was chlorpromazine successful—by 1964 some 50 million people had taken the drug—but its development also laid the groundwork for the later generation of agents used in the treatment of anxiety and depression. Furthermore, the characterization of its effects on neurotransmitters and their receptors provided insight into how impulses are passed from one neuron to the next in the brain, leading to major advances in scientists’ understanding of mental illness and cognition. Nitrogen mustards were developed in the 1920s and ’30s as agents of chemical warfare. By the 1940s, however, it had become clear that at least one of these compounds, HN-2, also known as mechlorethamine, was better suited for use in the fight against cancer, specifically against human lymphomas, than it was in the fight between Axis and Allied powers. In 1949 mechlorethamine became the first drug approved by the U.S. Food and Drug Administration for the treatment of cancer. The U.S. Food and Drug Administration’s approval in 1987 of zidovudine, more widely known as AZT, was a breakthrough in the treatment of HIV/AIDS. While not able to cure the disease, the drug was found to prolong the lives of AIDS patients. It also was the first of the so-called nucleoside reverse transcriptase inhibitors, a group of antiretroviral drugs that became a cornerstone of HIV/AIDS therapy. 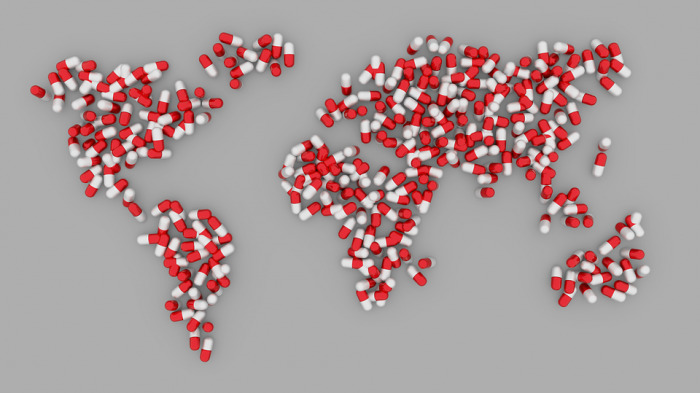 Owing to these drugs—and perhaps most significantly to increased access to these drugs in countries worldwide—the annual number of deaths from AIDS declined in the early 21st century. In the early 1920s, Austrian scientist Ludwig Haberlandt published a paper suggesting that hormones could be used as an effective means of contraception in animals. While it is unclear, he may have soon after tested a hormone preparation in clinical trials, despite heavy criticism from colleagues who considered contraception to be taboo. Haberlandt’s work, however, came to an abrupt end with his suicide in 1932. Two decades passed before further clinical trials of hormonal contraception were conducted in humans, and then largely at the urging of social activist Margaret Sanger. The first birth control pill was approved in 1960, in the United States. In 1928 Scottish bacteriologist Alexander Fleming was in the process of sterilizing bacterial culture plates that had become contaminated with mold when he noticed clear zones circling mold colonies. The mold toxin responsible for killing the bacteria turned out to be penicillin, which Australian pathologist Howard Walter Florey and British biochemist Ernst Boris Chain later successfully isolated and purified to produce what became arguably the world’s most effective live-saving antibiotic. Incidentally, Fleming seemed to thrive on contamination—his other major discovery, of the antiseptic enzyme lysozyme in 1921, was made after he had accidentally contaminated a culture plate with his own cold germs. Read the original article on britannica.com.